Akrapovic has once again developed the premier aftermarket exhaust for the Porsche Turbo line. 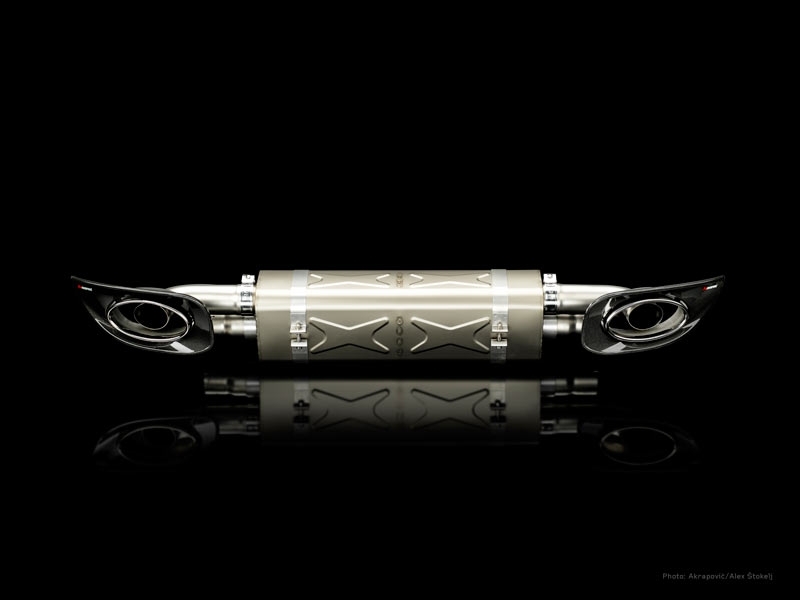 We begin with our very lightweight center muffler made from our proprietary titanium* alloy. 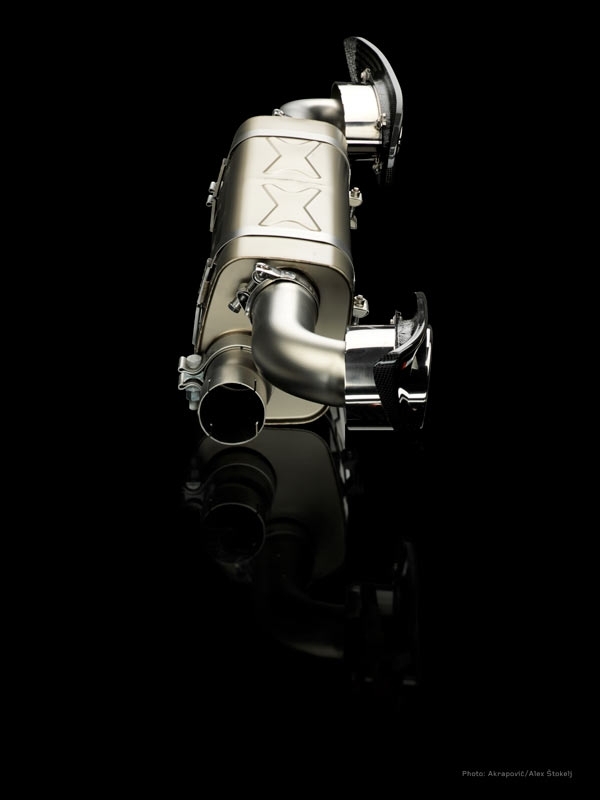 Replacing the stock center muffler alone reduces the weight at the back of the car by 4 kg. 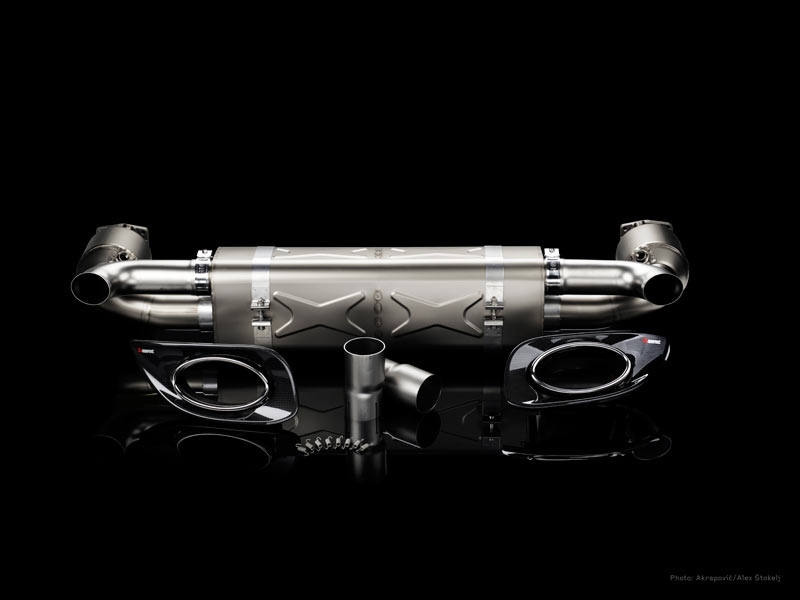 The next option is to replace the stock link pipes with the Akrapovic variant made from titanium and incorporating either 100 cpsi or 200 cpsi high-flow catalysts (customer choice). These link pipes, when coupled with our titanium center muffler, produce a total weight savings of 8 kg compared with the stock system. Each center muffler kit also includes beautifully handcrafted, aerospace grade, carbon fiber bumper inserts with integrated titanium exhaust tail pipes. These distinctive, yet subtle pieces will set your car apart from the rest of the pack. As always, our mission is to improve the sound of the car. 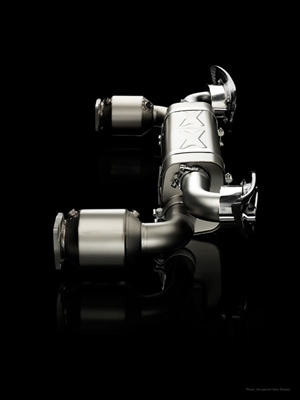 Turbochargers are known for absorbing quite a bit of the sound volume of an engine. Through careful design we were able to produce a system that has the deep and aggressive sound a car of this caliber deserves without being unpleasant or intrusive during normal driving conditions.